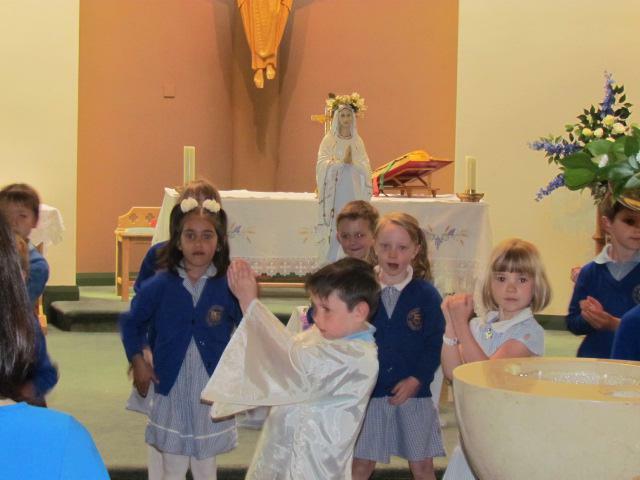 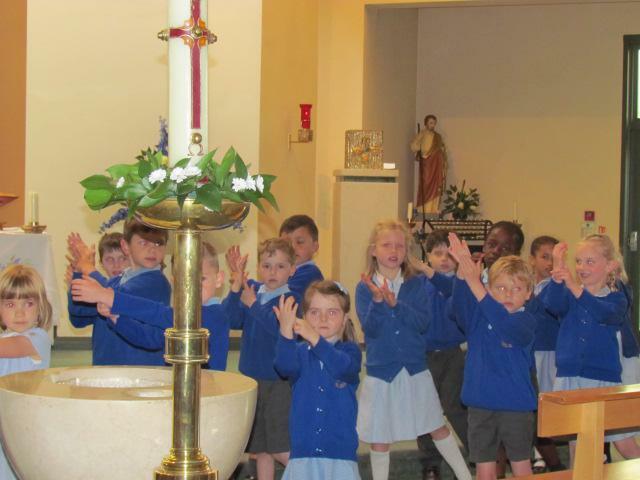 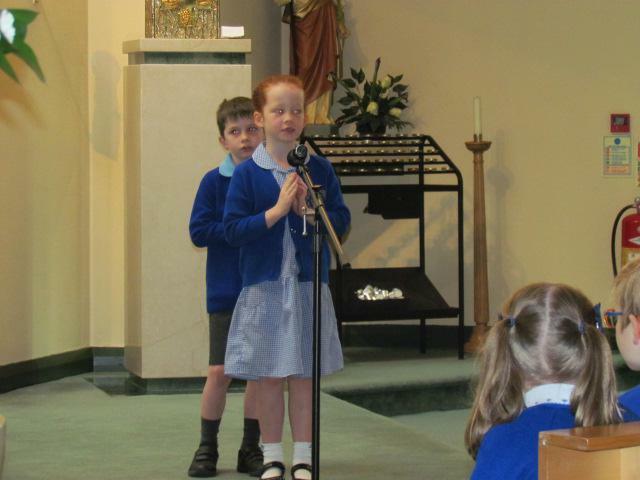 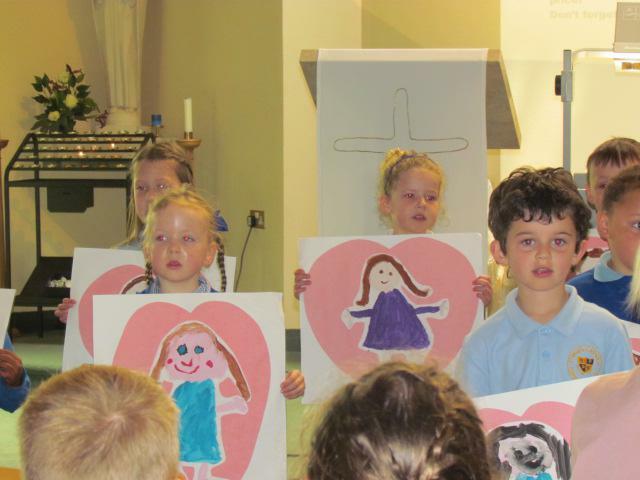 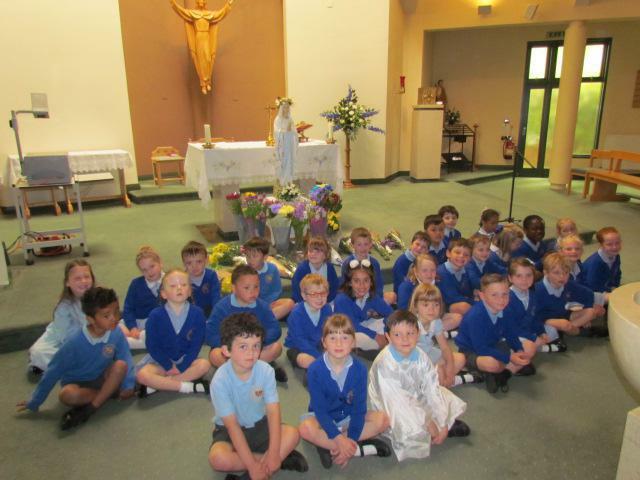 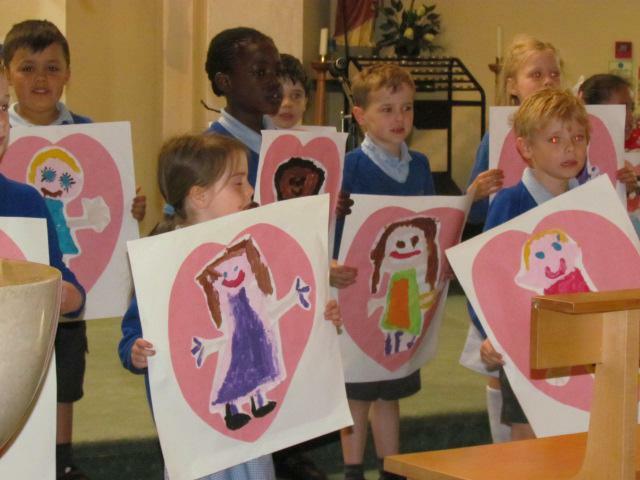 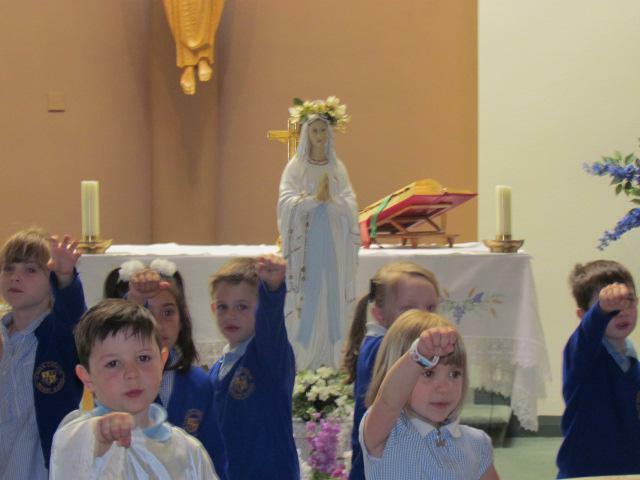 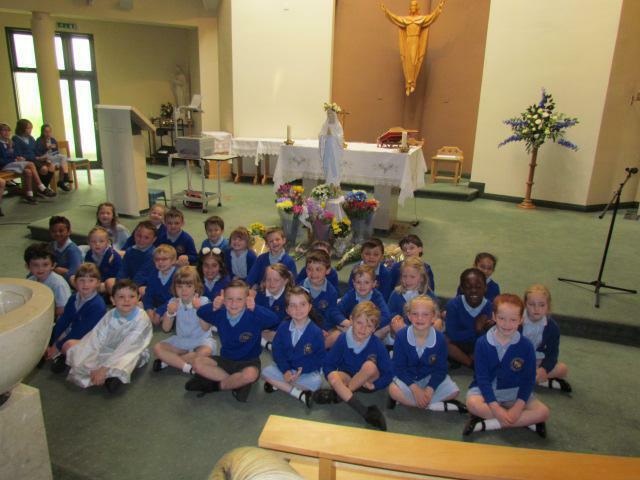 This morning, Year 1 led St. Paul's school in our Marian service, a celebration of 'Our Lady', in the month of May. 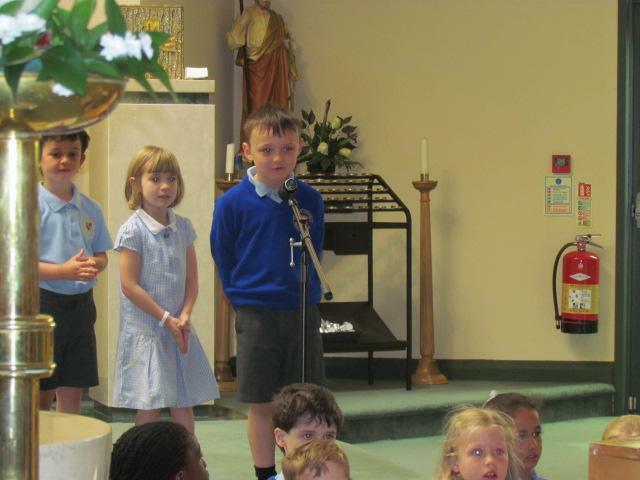 The children shared with us a brief recount of Mary's calling by God, to be the mother of Jesus, his son. 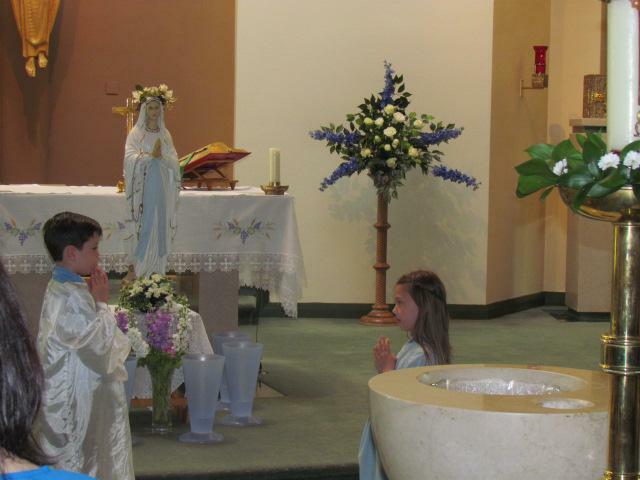 We were encouraged to think about the sacrifices Mary made and all she did to be a good mother to Jesus and the sacrifices our own mother's make for us. 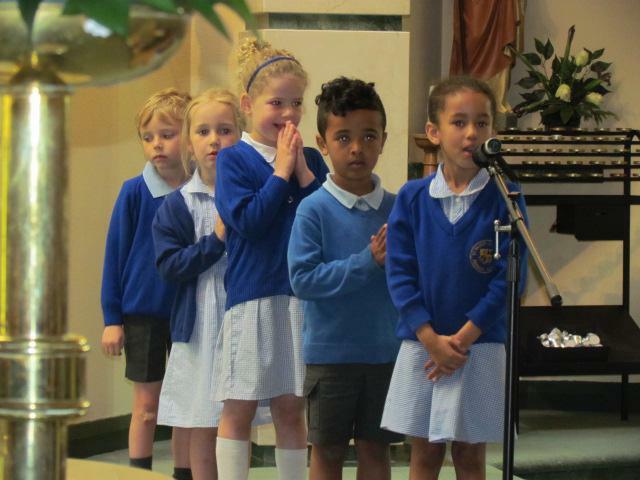 The pupils worshiped beautifully through dance and song. 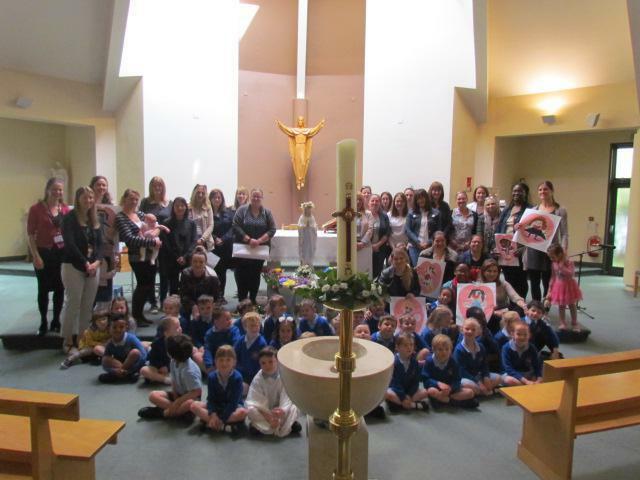 The Year 1 mums and grandmas were invited to present flowers to 'Our Lady's shrine' and received, from their children the wonderful portraits they had painted. 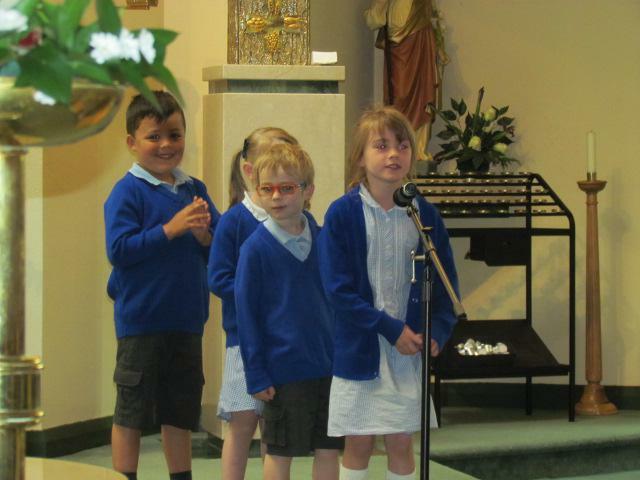 Many thanks to all who came to join in this lovely celebration and " Well done Year 1, you were all fantastic".